I thought of the idea to make a football helmet out of milk jug for an indoor tailgate party. I looked at all of the details of the official NFL helmets and created my own decorative version. I really like the way that it turned out…it resembles a cross between the old school leather helmets of the early NFL years and the current helmet we know today. I made this for my Ravens playoff and Super Bowl gatherings but it would also be fun to make for a kid’s birthday party. 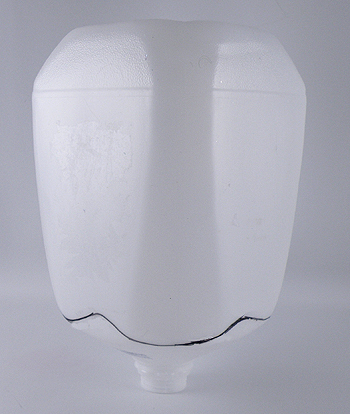 Draw the football helmet on the the milk jug as shown above. 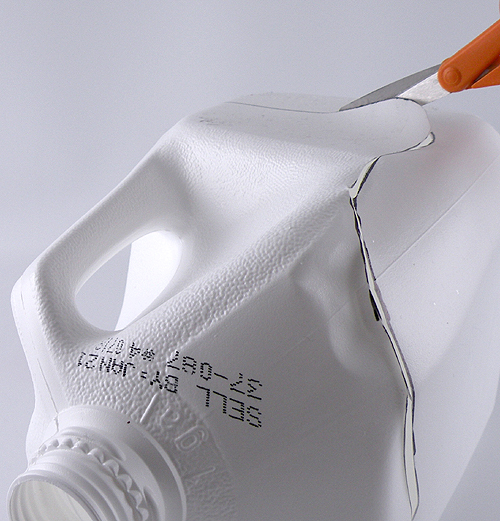 When choosing a milk jug, don’t make the same mistake I did by using a white plastic jug or you will have to paint the inside as well. 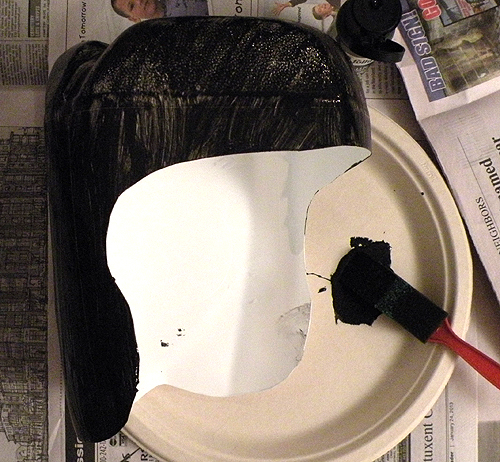 Instead, use a translucent plastic jug so the color on the outside of the helmet will show through to the inside. Cut out the helmet shape with scissors. 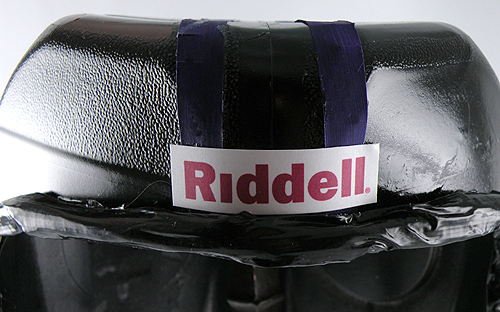 Paint the helmet with acrylic paint and a foam brush. It will take 2-3 coats to give it a solid base depending on what color you use. I usually spray paint plastic for a flawless finish but since it has been below freezing here in the Washington DC area, I decided to use some acrylic paint instead. I learned from experience that paint does not dry well in a cold environment. There is a reason why the spray paint cans tell you to paint in 50 degrees or above. Notice that I used a white milk jug so I had to paint the inside as well. 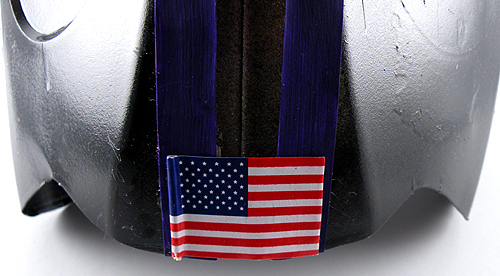 Paint two strips of white paper in the the accent color and attach them to the top of the helmet with craft glue. You may also use a colored piece of lightweight paper. To make the faceguard, twist two pieces of pipe cleaner together. 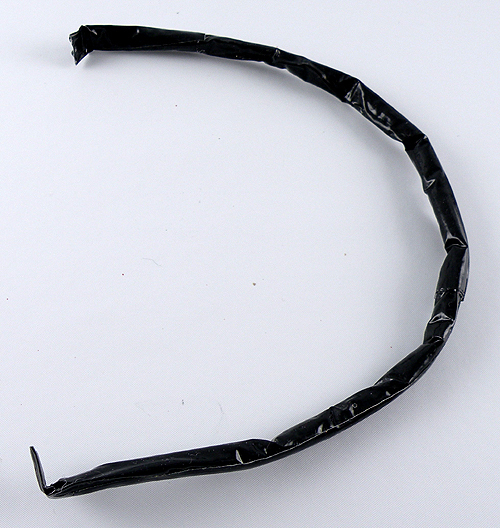 Cut a strip of duct tape and lay the twisted pipe cleaner on the edge, giving it about 1/4 inch extra at the end. 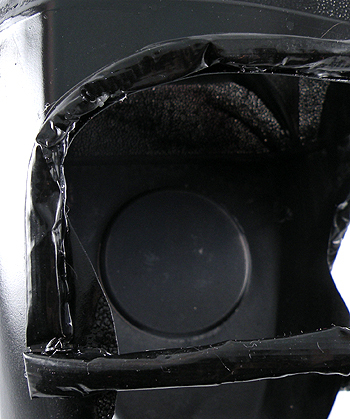 Only cut manageable pieces of duct tape…I used about a 6 inch strip. Roll the pipe cleaner onto the duct tape to form a nice wrapped tube. 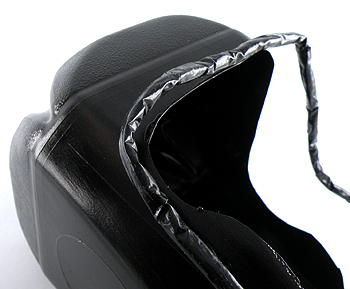 Continue to this method until the entire piece is covered making sure to overlap the edges of each additional piece of duct tape. 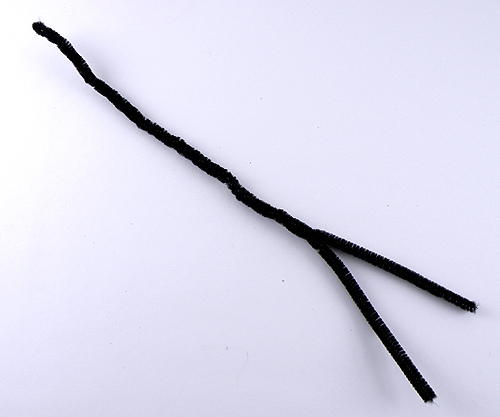 Bend the covered pipe cleaner so it resembles the shape of the faceguard. Fold the ends in and glue to give it a finish look. 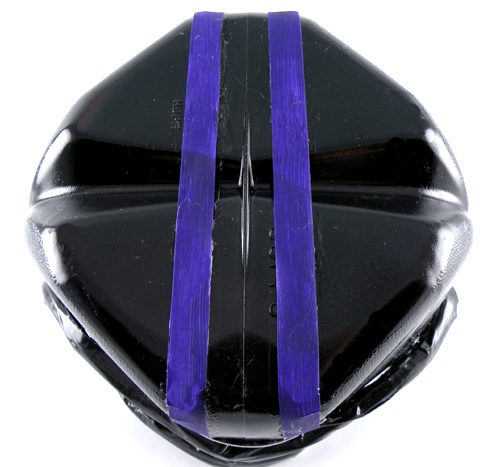 For the top part of the faceguard, you will need a longer length. Twist two pieces of pipe cleaner together at the ends and then twist them together and cover the piece with duct tape as directed above. Attached the faceguard with a hot glue gun. Attach the top part first. It will be longer than you need so cut it to size. Be careful not to burn your fingers. Add accent pieces to finish the helmet. I printed out the Riddell logo. Added the American flag for an extra special touch. And of course you need the team logo. I added a white circle for an ear hole. Send me pictures of your completed helmet. I would love to see which NFL helmet you created and I will post it on my blog. 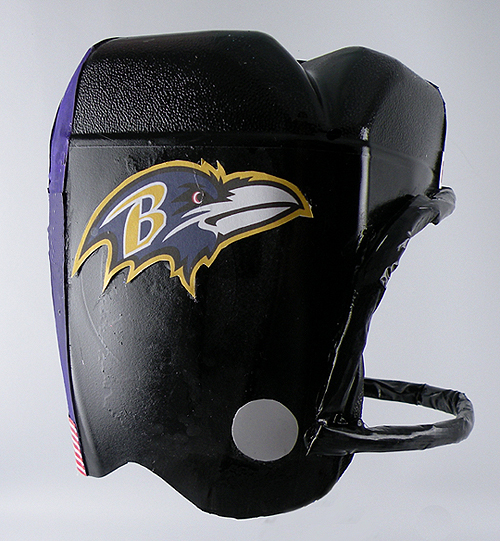 This entry was posted in Crafts, Everything, Recycle, Uncategorized and tagged football decorations, football helmet, football party, football party decorations, Gina Tepper, milk jug, milk jug football helmet, Ravens Football, Ravens helmet, Ravens Party, super bowl, tailgate party. Bookmark the permalink.